With the right prescription, even bottled water can be deductible. 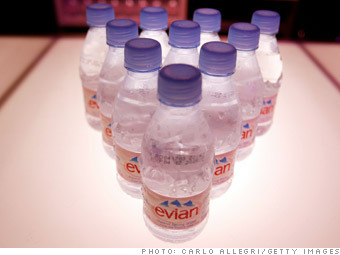 In fact, one very wealthy client managed to deduct $1,095 worth of Evian water as a medical expense on her taxes. Somehow, the woman had convinced her doctor to give her a prescription for three bottles of Evian water every day, said John Lieberman, a CPA at Perelson Weiner LLP. Lieberman didn't ask her what the medical condition was that required her to drink only Evian water, but he said the deduction was permissible since it was actually prescribed by a doctor and she still had the prescription note for her files. Taxpayers can claim up to $13,360 for each child they have adopted in the past 6 years. Tax quiz: Are you smarter than the IRS?